The problem with many post-workout foods is their resulting hypoglycemia cycle. What's that? Something that can negate all of the hard work you just completed in or outside of the gym. As we enter this holiday season, physical fitness will, for some of us—and hopefully many of us—play a large role in our lives given that we eat more during this period than any other during the year. Ingest a simple carbohydrate for refueling that quickly digests and is absorbed by the body can result in a spike in blood sugar followed by a quick and potentially dangerous drop. The solution? Raw honey, as it may be one of the best carbohydrates to refuel to avoid that negative hypoglycemia effect. 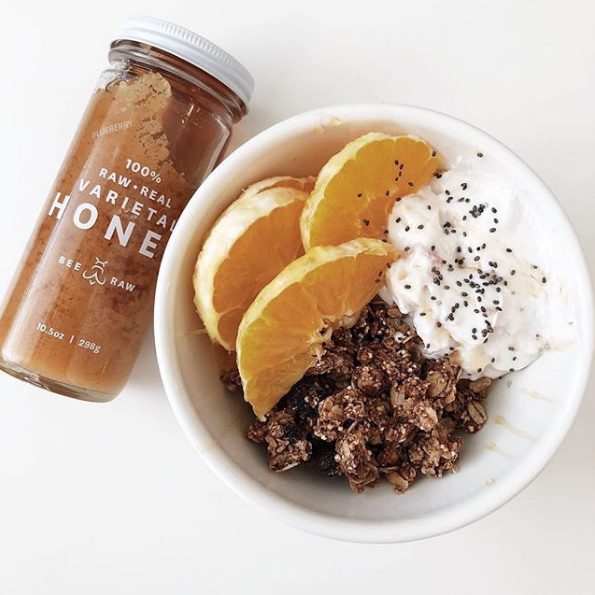 In fact, in a 2007 review in the Journal of the International Society of Sports Nutrition by Dr. Richard Kreider, chair of the Department of Health, Human Performance & Recreation at Baylor University, the effectiveness of honey after a workout was examined. Kreider and colleagues explain that honey is a highly effective means of post-workout recovery. In addition, honey does not result in a state of hypoglycemia; rather, it can actually maintain blood glucose more effectively than sucrose or maltodextrin.